20.02 sq. ft. per case. Case quantity: 4, Case weight: 30.10 lb. Tuscan Stone Bronze x 15.5-inch x 47.5-inch Click Lock Laminate Flooring (20.02 sq. ft. / case) The Home Decorators Collection Tuscan Stone Bronze Laminate Flooring offers an ultra-realistic stone finish that mimics the surface textures and characteristics of a real stone floor. With a natural look and hues of bronze, copper and browns, this well-crafted floor is ideal for active households and includes the patented Embossed in Register surface texture that precisely positions over the pattern underneath. Premium features include an attached underlayment that saves time and money in addition to reducing noise, extra-large boards to speed up installation and an easy-to-install glueless locking system. Each tongue and groove is fully sealed to help prevent moisture penetration, and the patented Joint Guard technology protects joints from chipping. Home Decorators Collection floors are also FLOORSCORE certified for low-emitting products, providing an environmentally friendly solution for your flooring needs. Tuscan Stone Bronze x 15.5-inch x 47.5-inch Click Lock Laminate Flooring (20.02 sq. ft. / case) is rated 4.3 out of 5 by 187. Rated 5 out of 5 by Michael from Got 11 boxes of the flooring for an outdoor patio:... Got 11 boxes of the flooring for an outdoor patio: all of the pieces were in good shape. Instructions were so-so to understand, but once I got started, installation went fairly well. Cuts well with a circular saw. Sliding them to lock in place takes a bit of practice. Happy with the outcome. Rated 5 out of 5 by John from Install was easy and look great. ... Install was easy and look great. Rated 4 out of 5 by Rebecca from It looks like the picture. Haven’t gotten it put down... It looks like the picture. Haven’t gotten it put down yet, but can’t wait to see it in my dining room and kitchen! 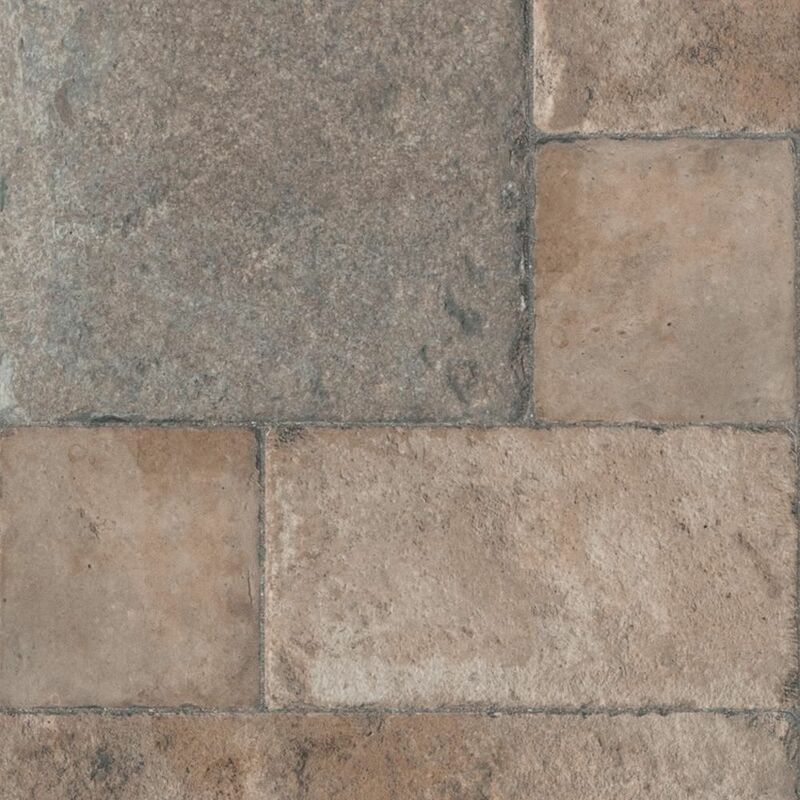 Can I use Home Decorators Tuscan Stone Bronze laminate flooring in a kitchen area? Yes no problem to use it in the kitchen and even in a bathroom. I hit a sample hard with a hammer and it did not chip, no damage. We wanted to test how water resistant it was, so we put a sample immerged underwater for a full day and it remained intact after drying, no puffing, no damage at all! This flooring is amazing! We put it in our kitchen and it looks fantastic. 4 in a box @ 15.5&quot; x 46.5&quot; (printed area,) that's 20.02 sqft/box. what is the sq ft price? $2.37 (CAD) per square foot. Is it possible to order matching floor trims - specifically looking for reducers?